Some games strip away features in order to present a concentrated and polished idea. Titles like Dynasty Warriors or Pocket Card Jockey often feature role-playing game elements, but at the end of the day, focus strongly on a single concept: murdering horses and playing solitaire. I think? I don’t know, I’m kind of clueless. But the point stands – sometimes a game is fun due to the simple pleasures of its core premise. 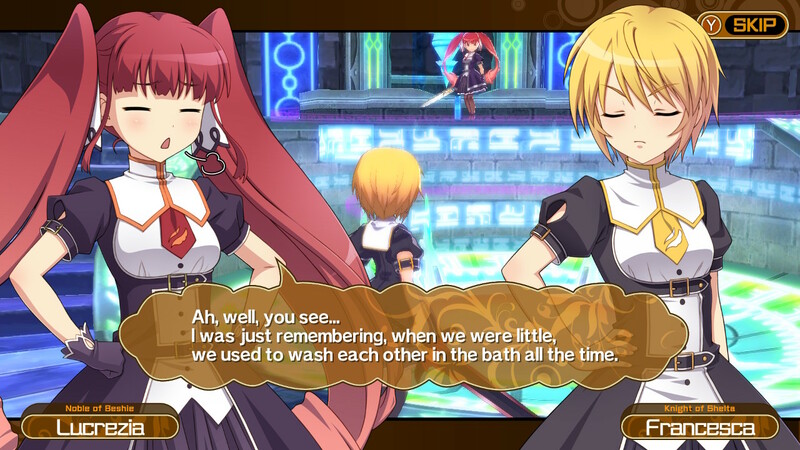 If we apply this notion to Croixleur Sigma, it is clear to see how the game is a complete and utter masterpiece. Sure, on the surface, Croixleur Sigma may just look like a game that features four color-coded girls slashing through swaths of enemies. That’s the developers lulling you into a false sense of security. In reality, Croixleur Sigma is one of the most absurdly full-featured action combat Role-playing games in existence. Its depths must be plumbed by a dedicated player, someone willing to learn what makes a combat system as deceptively simple yet utterly expanse, no matter how many hours are spent dedicated to a currency grind that evokes levels of cruelty and perseverance rivaled only by the fabled Dark Souls. Which, by the way, isn’t as good as this game. In order to appreciate Croixleur Sigma, it is necessary to align yourself with its philosophy. Let its gameplay fundamentals wash over you like the feeling of dread when you boot up any subsequent Role-playing game after having played this one, knowing that somehow, it will fail to compare. Also, read the next segment. To say that Croixleur Sigma has one focus is foolish. I mean, sure, the game is about four color-coded girls slashing through swaths of enemies, but it’s more what they do that makes the game so unique. Yes, they slash through swaths of enemies. But there’s a lot of different modes where they slash through swaths of enemies. Trust me, it’s very deep. 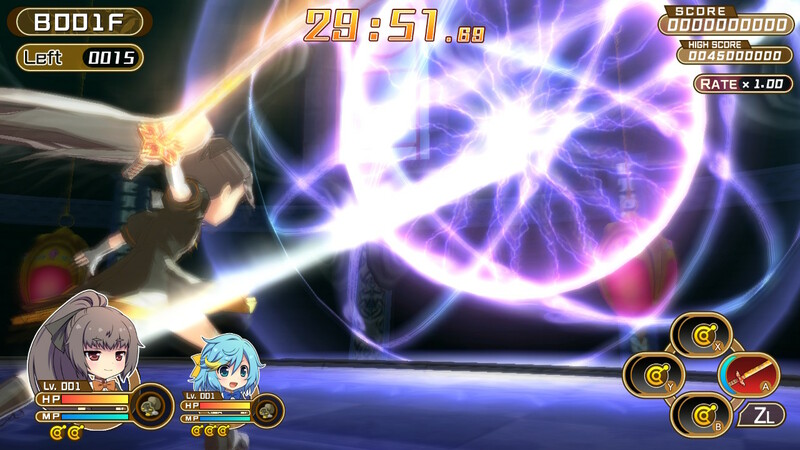 Two of the Croixleur girls have unique movesets that are copied for the remaining two. That means they slash in very specific ways and have certain special moves exclusive to them that are accessed through their recolored weapons. This duplicity is meant to resonate with the player – it begs the question: how individual can one be if they consume and utilize the same devices as others? What can be done with characters who, from a gameplay standpoint, are very similar to one another? Fortunately, Croixleur Sigma is no pedestrian Role-playing game, it both poses and answers these questions. 1) You will only slash through swaths of enemies in circular arenas. 2) You will have a set amount of time to slash through swaths of enemies. 3) You will sometimes have an option to choose the arena in which you slash through swaths of enemies. 4) Some enemies are hard to slash through. 5) Some enemies are REALLY hard to slash through. 6) When you slash through them, they will explode into money. Story mode either focuses on a specific trial that two of the characters must complete, or a dungeon mode where the time limitation is not as tight and some gameplay variations emerge. There are, of course, tactics and abilities that can enhance a character’s ability to slash through swaths of enemies. The face buttons are used for basic attacks, dodging, and jumping, but holding an additional button allows access to one of four special moves. One can access a burst ability that pushes away or knock down enemies in order to create space, and press a whole buttload of buttons to activate a super-duper special move that can wipe the arena clean. The neato aspect of all of this is that special moves and movement options can be chained into one another by pressing another input right after executing the move. Dashing and special abilities are tied to a stamina meter, but when the player runs out of stamina, they will then deplete their character’s health points instead. Likewise, a player cannot access their super-duper room-clearing ability without gathering a certain amount of money. Even subtle details like this show a dedication to realism, as overexertion takes its toll on our bodies outside of the virtual world. Capitalism reigns supreme. The commentary is so deep, one might not even notice, but it’s there. Trust me. It’s there. The swaths of enemies truly only come in limited variety, but the enemies that are slightly harder to slash through have some qualities that set them apart. Aside from their larger size, they have more attack variations and are much harder to put into hitstun, so you’ll have to weave in and out of groups in order to make things work. In the dungeon mode, weapons will actually break if a player should use them too frequently (another nice touch that predates Breath of the Wild’s durability system, which clearly pays homage to this masterpiece), causing new weapons to equip and forcing the player to think on their toes. Speaking of equipment, the four adorable girls can stack themselves with a number of accessories that will assist them throughout their battles. Each of the characters’ four equipped weapons come with their own elemental attributes and hitboxes, so crafting a specific play style is key when considering loadout. 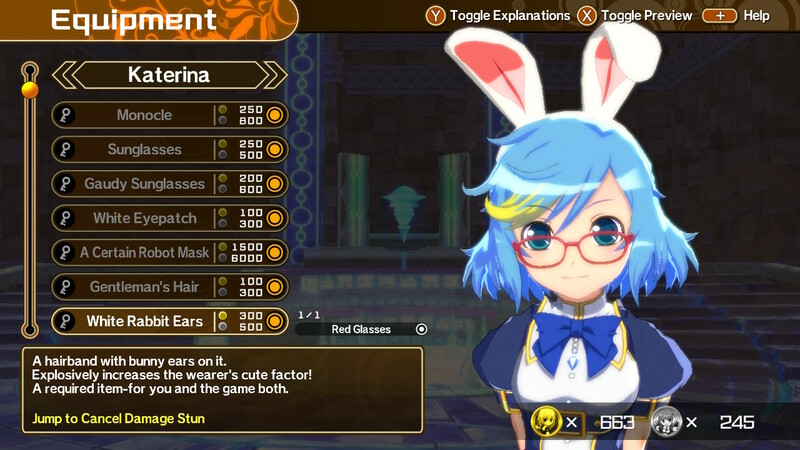 Likewise, there is an in-game shop where players can put up additional costume pieces. While some merely reduce stamina usage or draw in money more easily, others add valuable new active and passive abilities that truly allow the player to customize and maximize their own potential. Despite the stock anime personalities found in the four playable characters, the game itself is all about player expression and adaptability, something the best character action titles tout. 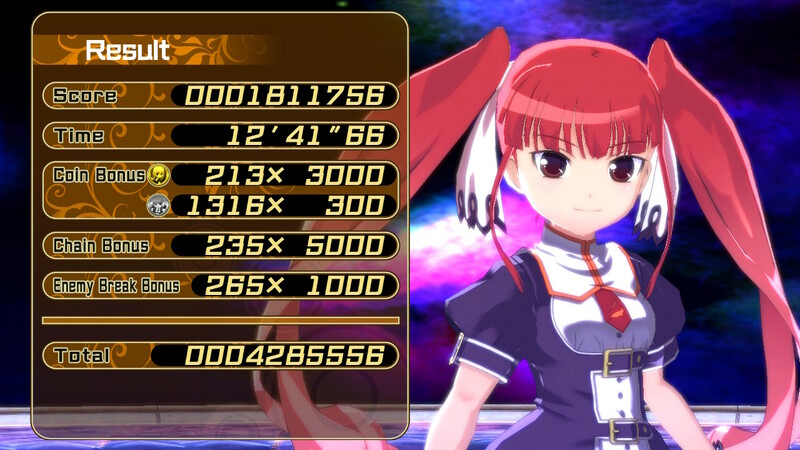 Why play Bayonetta or Devil May Cry 5 when Croixleur Sigma allows button remapping, equipment buffs, and creative special attack chains? Because the art style is bland? Because the enemy characters pose little challenge? No. I refuse to believe those are valid complaints. If you grow bored of the story mode (a laughable concept), you’ll also find score attack, survival, and challenge modes designed to test every facet of your determination and mental fortitude. Only the greatest shall overcome these trials, and since the game updates your leaderboard positioning upon the completion of any run, you’ll find that there are plenty of people in this world who take Croixleur Sigma way more seriously than you. They’re just better at life, I suppose. Croixleur Sigma is very much a cute game, from the appearance of its enemies to the four color-coded girls. Despite the derogatory label, these four girls actually have a number of differences in their basic outfits, but if you like your anime girls generic, there are options for you. Each girl has a series of alternate costumes that dress them up in t-shirts and maid costumes and stuff, though all of these are tame, meaning the game is accessible for all ages. In terms of bringing a 2D artstyle to life, Croixleur Sigma’s 3D models rival the detail and consistency found in overcomplicated and lame-o RPGs like Xenoblade Chronicles 2. Simply put – the game looks good, and it also runs extremely smoothly. The soundtrack mostly amounts to a series of pulse-pounding battle tracks that are so forgettable they will blend into the background of your quests to slash through swaths of enemies, and really, isn’t that what everyone wants? Shout outs to the menu theme, by the way, it’s #LIT. In terms of narrative, you might as well strap yourself in, because the world of Croixleur Sigma is a wild one. Two aristocratic classes sit above all others, the Nobles and Knights, whose ideals and descendants clash in the Vernal Magic Knight Academy. While two of the color-coded girls come from the opposing houses at the academy, the other two are related to the geopolitical and mystical scenes that take place in the world outside. There’s lore upon lore here, and it can be accessed through a collection page on the game’s main menu. However, the hilariously charming dialogue of these cookie-cutter characters is best seen in the story-mode cutscenes, where their banter and personality is shown off in vignettes that don’t really add much to the weirdly in-depth lore. Their focus on inane subjects is perhaps another reflection on our society – one where many are so removed from strife that they feel the need instead to concern themselves with cute cats. Or bipartisan alliances. Either way, one could spend hours attempting to unpack the dense world-building. Or they could simply spend some time slashing through swaths of enemies. I have heard many detractors claim that most of Croixleur Sigma’s content can be seen after playing fifteen minutes of the game. This is untrue, since a single story mode playthrough is exactly fifteen minutes, and there’s a number of activities to be performed afterwards. Equipment must be unlocked, as well as characters, and there are a vast number of in-game achievements to be claimed. Let’s not forget that Croixleur Sigma is also a Role-playing game, which means that multiple runs of a certain character can lead to both them and their equipment leveling up. Sure, RPG mechanics in what is primarily an action-centric title might sound like an artificial way to pad playtime and the road towards true competency, but I like to think of it instead as a learning opportunity. This is where I’ll drop the act of Croixleur Sigma being a unequivocal masterpiece. I think there is something to be said for this game, as its freedom of play style and control mapping is rather impressive, but the RPG mechanics and currency grind mean that, in order to get to a level where your scores can start to mean something, and you truly feel competent as a player, you’ll need to do a great deal of grinding the same general premise over and over. 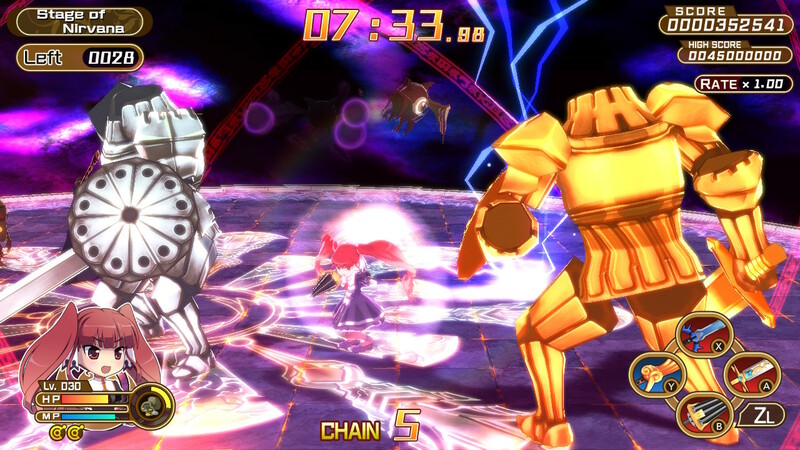 There are no other combat areas to visit in Croixleur Sigma – no environmental terrain or hazards to complicate things, no great variation in enemy composition. This is the case across all five of its alternate modes of play. 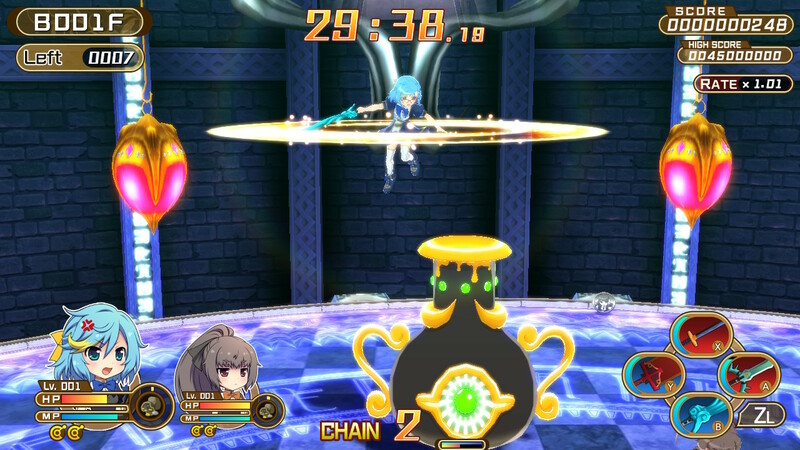 If one enjoys the sort of grind and commitment found in, say, the Dynasty Warriors style of Action RPG, they may be able to stick through to the end and climb the skill ladder present in Croixleur Sigma. Even at the game’s lower levels, there is a strange allure to how effectively the player can slash through swaths of enemies. But dedication and tenacity are what bring out the best in this game that unfortunately does tend to test the patience of the player, not due to what is present, but rather, because of what isn’t. Mustached man comprised of tree pulp pounds mushrooms with a hammer. News at 11. I am fiercely opinionated, valuing gameplay over story... unless the story is really good.